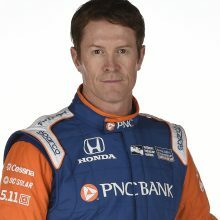 Scott Dixon is one of the most successful IndyCar drivers of all time, taking his fifth championship last year with Chip Ganassi Racing and having achieved 43 wins, the most of any active driver. 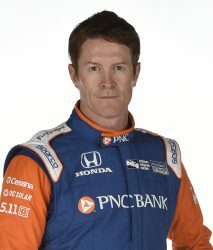 Scott Dixon answers your questions! As someone who has worked up from the bottom to the top with much less of a budget than most, what is your advice for those trying to make it in this ever more expensive industry? Zac that’s a really tough one, for me we reached that threshold very early of not being able to pay, so my Dad and a group of investors setup an idea, which I think is quite well known, that I sold shares in myself. That definitely made it achievable but there were still some moments where the stars aligned and I was able to get my foot in the door at the right time, so yeah I guess you’ve got to keep knocking on doors, keep looking at opportunities. I think for us it was more of a situation of Kiwi’s/New Zealanders trying to help out young talent and that continues to go on, it worked with Brendon Hartley, Earl Bamber and a few others. Considering that you previously raced in CART from 2001-2002 and then transitioned into IndyCar, what would you say are the biggest differences between the CART race cars of that era and the current Dallara IR18? Lots of differences, you had a pretty big engine war going on at that time and now I think we get four engines for a year, back then we had three-to-four engines on one race weekend! When that was dialling down at the end of 2002, the cars almost had 1000bhp, the tyres have evolved, Firestone has made a better tyre these days. But I think the biggest difference is that there was a lot more development, each engine that you got each weekend, it was a different spec, different exhaust and that was also the same with the car. You had updated floors and updated wings every three to four races, so I guess for us it was probably the biggest difference as a driver, which was fun because you constantly saw evolution. What are your techniques to learning a track that you have never been on before? Getting on track in a car or performing a track walk? Track walk is generally one of the solid ones you can do on a race weekend or going to a test for the first time. In this current time simulation is really big, but even with the likes of Honda and their simulation programme there are some tracks that aren’t accessible, or haven’t had track scans done. So I know for us, even going to COTA I was watching a lot of videos to try and understand it. When I got there I was able to go around in a car and kind of understand those tracks, some tracks are obviously a lot easier than others to learn but you’re always trying to get the maximum amount of information whether it was a car that has previously tested there before, maybe some bench simulation without a driver involved that the teams were able to do, and most often you typically like to have run in the simulator of the track and we do that even for current tracks that we have. Before St Pete we’ll be going in on a Tuesday and Wednesday, and we’ll run St Pete to try and get up to speed as quick as possible because every second we run counts, especially on these tracks where run time is quite small. I wanted to get your advice on negative camber and toe-in setting for your race car front tires. How does this affect endurance races compared to quick hot laps? Would higher amounts of negative camber increase your tire grip? Wouldn’t the tires heat up and balloon in long endurance races? Each track is quite different, that’s what we do a lot of the times when we test we’re trying to find the best operating window for the tyre. Sometimes when we test in really cold conditions, we run a lot more tow, because you’re trying to heat the tyre. But typically, in qualifying you may run something more aggressive for maybe one lap, or two laps at the most, but then you’ll take that out so the tyre lasts longer during the race. That also applies to pressures, pressures are still big and it’s a big adjustment through the races, trying to get balance from the front to rear, add pressure or take the pressure out, but also finding that sweet spot of where we need to be for optimal pressure. So, we’re very dependent on tyre the manufacturer, they normally fill you with a lot of information so you can understand where you are at. 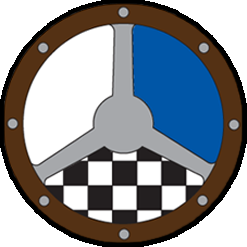 I think Firestone help us a lot in that area, and even in other programmes like the Ford GT programme they have a good understanding of basic camber and tow settings, of where they have done slip angle tests and testing and have a lot of data on where they think the tyre works in optimal areas. But if it’s in a category with a spec tyre, always try to ask around, try to get any information. How important is a smooth brake release on corner entry? I think I am usually too abrupt, and it upsets the car just when I need a good turn-in, but how do I break that habit? That is a tough one, you know I think once you have a driving style or even a car that you’re used to I think you need to be very cognisant of separating laps and corners and trying to constantly even going in to the braking zone and remembering to release it. For me a lot of the time once you gain or feel when you release the brake that the car rolls better or vice versa, it starts to ingrain the more laps you do. But that is very car dependant that one you do, the GT car is a good example where depending on packer gaps sometimes it really likes a lot of trail where there are large amounts of trail going into the corners, but if the packer gap is really close you want to get off the brake and roll so it’s not oversaturating the tyre. So yea, you just have to really understand what you need for each corner, keep trying it in different ways and find what works the best because it does change with each track and each car you drive, and even the small setup changes you do. So find what’s best. I was just wondering how you learned to save fuel, is it just a case of ‘lift and coast’ or do you have to be smooth with your driving as well? Lift early, brake later, roll that mid-corner speed and make sure you’ve got a positive car so that you can run that mid-corner speed. I think if you’ve got a good car it makes it a lot easier to save fuel. But yes, you coast first and then typically because your speed has fallen, you brake a bit later than what you would on a normal lap. What I’ve done in the past is make sure the car is really positive, so you can roll the mid-corner speed without having to get back to throttle. So you delay even going back to throttle, but it’s a real technique that takes time to work at, but the lift and coast is the majority. That’s when all the engine is cut, all fuel is cut to the engine and you’re saving most of your fuel. But also, if you can get it to roll, get that mid-corner speed up and then having to go to the throttle later to keep that fuel shut off going for longer. With our spec engines with Honda we work on the drivability and how we can save fuel with mixtures, but it’s a real technique that, if you can have somebody that you can team up within a car that’s similar and see what they do and really analyse the data, it helps a lot. What are your thoughts about upcoming sim racers who are competing at high levels of motorsports such as GT academy? I haven’t followed it too much, but I do see it from time to time, we talk about it internally a bit if it’s just general discussions. I find that it’s still very different to the real world, even from our simulation days that we used to do with Honda there are cheats you can do, you can cut corners and ultimately there is no downside, right? You crash a car on a sim and one; you’re not going to get hurt and two; you can just hit reset and keep going. So I think the big separation from virtual to reality is being able to keep the car on the limit and get the most out of it. I can see it evolving to a level, I think it was Bathurst a few years back where they did it with the Nissan programme, the person did fairly well but I still think to get those final adjustments, those final few tenths are always something that good drivers are able to do and manipulate the car. And I think sims, even with the high-tech ones that we have, I think it’s still either you can cheat it, or you don’t see a crossover to real world. I think it’s definitely something that is going to become more apparent, one day we may see a direct correlation and crossover. What are the most common mistakes you see young drivers making? What techniques would you advise to focus on for younger drivers? I think consistency is the biggest, a lot of the young drivers in this era now actually do a lot of working on all the information. There is a lot of these techniques with video and data, and when I was in junior categories you just never had that. You would watch them go out on track, and you would try to watch what people were doing. So there is a few more shortcuts you can make these days, but I think it’s trying to understand the situation you’re in and not trying to go for a race win if the car doesn’t have it in it. I think it’s consistency that wins races, it wins championships, the old saying goes ‘you’re never going to win the race at the first corner’ which I think is the biggest thing with young talent sometimes, is that they maybe get a little too excited or they go for a situation that takes them out of the race and maybe ruins that championship or that weekend. So I think’s its really trying to understand the pros and cons of pulling off each move, but that will definitely come with more miles and understanding and more racing. Can a driver in their late 20’s early 30’s with only a few years’ experience still have a shot at making it to the pro ranks or even IndyCar? I can’t say I’ve heard of anyone that’s done that, I think the latest I’ve heard is probably Dario (Franchitti) I think he was in his early teens when he started. Once we got going, I think it was one of those things that, the earlier you start the better. Is it a defining factor? Probably not, I’ll look at maybe the five or seven years of difference from the early races with Dario has and he was one of the best drivers we’d ever seen. So is it possible? Sure, anything is possible. Is it likely? Probably not. You have to build up your racing style, your craft, your understanding of cars, but also recognition. It’s very hard to burst on the scene and say you want to go and race in IndyCar and you haven’t been doing any junior categories or the ones you have, have only been for a few years, so yeah that’s a tough one. Scott, is there anything you’ve learned from your racing career that you’ve also been able to apply to your everyday life? How has being a professional driver impacted you as a person? There are crossovers, I think for me a lot of it is my upbringing has helped me on the racing side and trying to get everything out of a moment. I think for me, my biggest driver and passion to win is the sheer fact that I have a lot of people helping me and I never really want to disappoint. And also, I’ve got Emma (wife) who is probably one of the most competitive people on this Earth, so we have a very good understanding. She was a runner for Great Britain and knows what it takes to get to her level, and I think that’s helped a lot and understanding the other side of nutrition to mindset, to also giving your all. But in personal life has I think it’s really helped me with structure, and that helped with having kids too. Having a schedule that helps with them too, but also having a big picture. For family is what’s most important, racing is my passion and what I love to do, but it’s not everything and I think that the important part is being able to have those breakaways. Having kids with Poppy and Tilly really helped me getting out of constantly thinking about racing, and it’s nice to have another hobby because you can just get fried, you can get too deep into that rabbit hole of racing consuming you. So I think having a private life with structure and discipline has really helped.